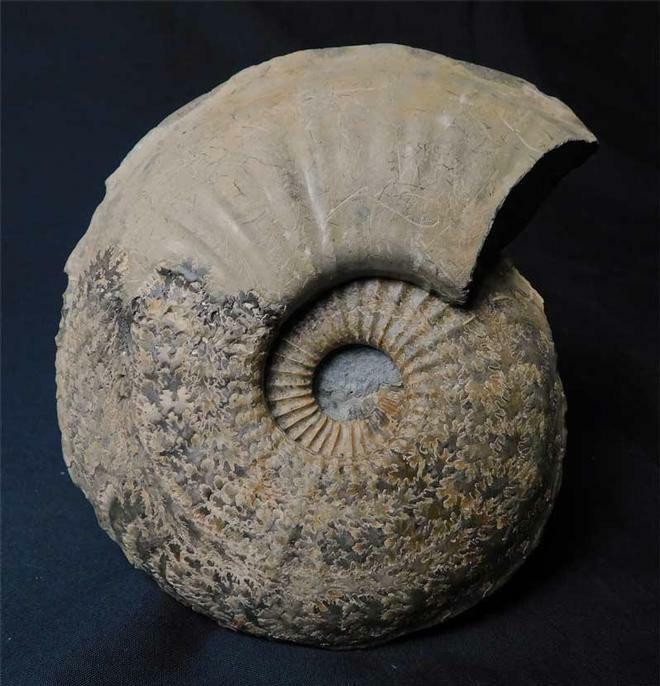 This very rare oxfordian ammonite was discovered in a temporary exposure in 1979 and has remained in the same collection ever since. The specimen's very centre has not been preserved as wityh most we've seen in the past,however, the4 sutures are fantastic. Three small patches on the keel have been restored. All in all this ammonite would make an important addition for the serious collector. 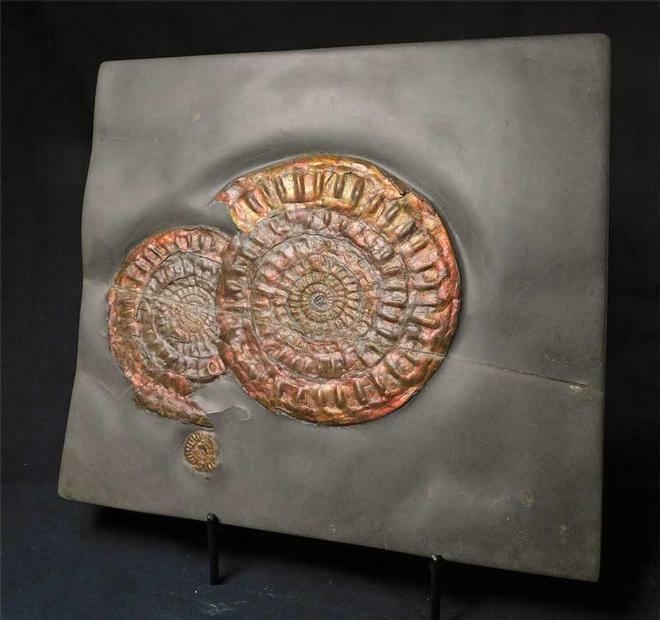 Always check with your supplier when purchasing fossils for any restoration, repairs or composite reconstruction as we have noticed a marked increase in this practise, especially with ammonites. The dealer should make this very clear in any descriptions given. A really nice example of this classic lower liassic ammonite which has been preserved in solid calcite and has an immaculate centre. 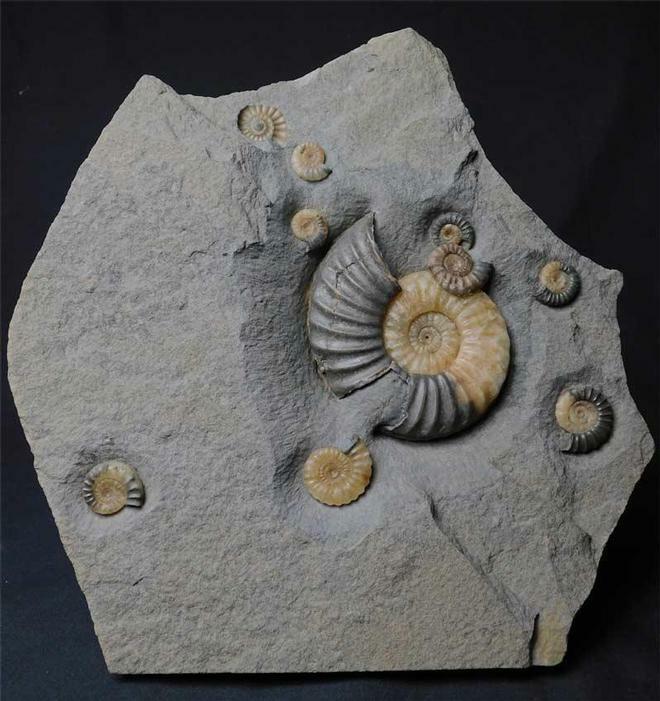 This type of ammonite has aesthetic nodes which radiate around each whorl. 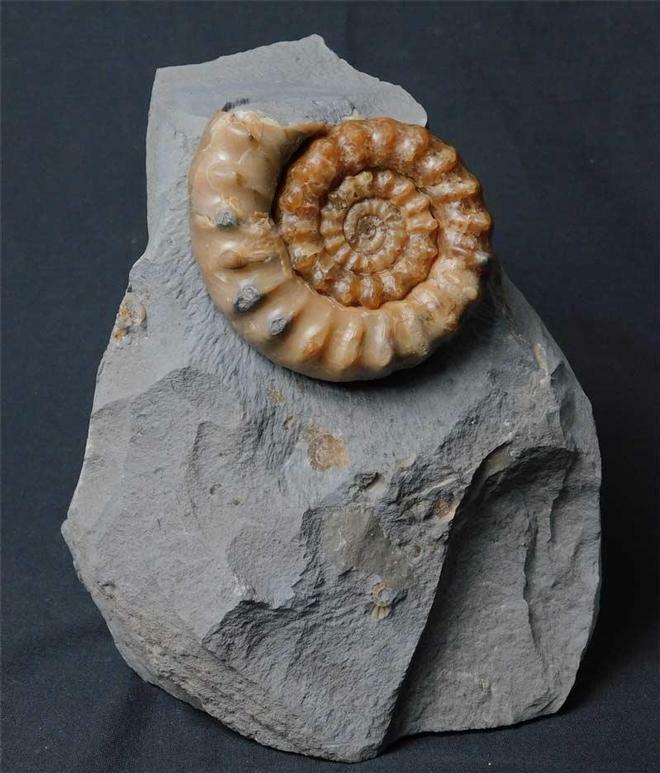 The ammonite itself lies at the top of a piece of hard limestone matrix and has a flat base to which is attached an anti slip and scatach pad for peace of mind when displaying on delicate surfaces. A lovely specimen either for the collector or indeed interior designer. There is a minute repair to one of the nodes, however this does not detract whatsoever. Approximately 200 million years old.